North Korea’s Koryolink cellular network has hit the 2 million subscriber mark, majority owner Orascom Telecom said this week. The landmark was reached in late May, 15 months after it surpassed the million subscriber mark. Koryolink launched its 3G cellular service in the final days of December 2008 and in the last four years has expanded service to cover all major towns, highways and railways in North Korea. OTMT owns 75 percent of the company with the remainder in the hands of North Korea’s Ministry of Posts and Telecommunications. 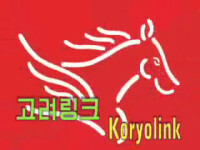 The company uses the Koryolink brand name but is legally called Cheo Technology. While access to the service has gone far beyond the “few privileged individuals” mentioned by Sawiris, mobile phones remain out of reach for many North Koreans due to the price. 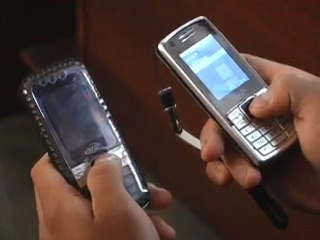 North Korean citizens are offered voice, text message and web browsing service on their phones, but North Korean regulations prevent them from direct international communications or Internet service. Foreigners in the country have a different class of service that allows international connectivity, but shuts off access to most domestic phone lines. Koryolink recently began offering prepaid SIM cards for foreigners in the country on a short visit. Data cost between 150 euro for 2GBs to 400 euro for 10GBs, with an additional 10 euro monthly charge for the SIM card, according to reports. But within weeks of the service being launched, it was reportedly scaled back. In its statement, OTMT said the restrictions have been relaxed, but it’s unclear if the carrier means the original ban on short-term visitors using data or the most recent change in restrictions after the service launched. “It is worth noting that through recent decisions of the North Korean government, restrictions on availing internet connections through mobile phones for foreign visitors have been reduced, allowing Koryolink to also offer some data services through its network,” it said. Koryolink did not reply to a request for clarification.